Sen. Lindsey Graham takes on Obama administration plans to transfer dozens of Guantanamo detainees in the next six months, arguing the U.S. should be concentrating on filling up the prison, not closing it, because "terrorism is on the march." He joins us. Then, Sen. Robert Menendez says the U.S. government has "thrown the Cuban regime an economic lifeline." We'll talk to the chair of the Senate Foreign Relations Committee about the U.S.-Cuba relationship, North Korea and the consequences of cyber-attacks. And, Gov. 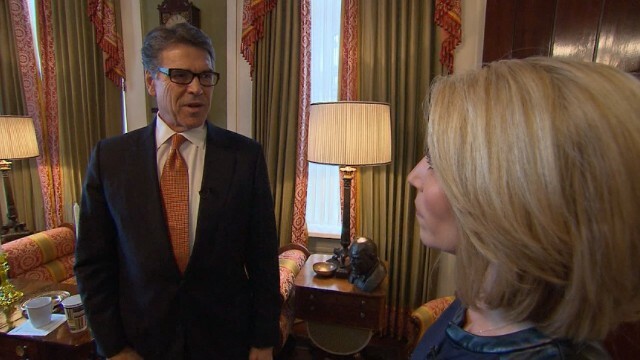 Rick Perry as he leaves the Texas Governor's office and preps for a possible 2016 run for the White House. Who is leading the pack in 2016? We'll debut new CNN/ORC polls on the 2016 field with our roundtable: Ken Cuccinelli, Matea Gold, Kevin Madden and Donna Brazile. Dana Bash hosts State of the Union - Sunday at 9am and noon ET on CNN.